Sultan Abdul Aziz Royal Gallery was the brainchild of the Eleventh Yang di-Pertuan Agong of Malaysia, the late Sultan Salahuddin Abdul Aziz Shah. Initially it was called ‘Muzium Kenangan’ (Memorial Museum) and was built in 1988 at Jalan Kota, Kampung Jawa in Klang. After H.R.H. Sultan Sharafuddin Idris Shah ascended the throne in 2001 as the Ninth Sultan of Selangor, he instructed that Sultan Suleiman Building which was built in 1909, be turned into the new Royal Gallery. On 19th October 2007, the Royal Gallery was officiated by H.R.H. Sultan Sharafuddin Idris Shah. 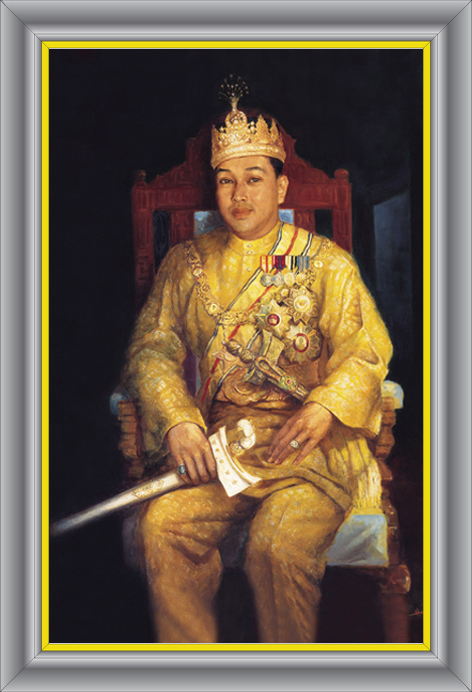 GALERI DIRAJA SULTAN ABDUL AZIZ, is dedicated in honour of his late father, Sultan Salahuddin Abdul Aziz Shah, who ruled over thirty-nine years as The Sultan of Selangor and two years as The Yang di-Pertuan Agong of Malaysia. GALERI DIRAJA SULTAN ABDUL AZIZ highlights the rich history and heritage of the Selangor Sultanate originating in 1766 from the Bugis Sulawesi Royal family of Opu Tanreburung Daeng Relaka of the Malay Archipelago. The 1909 classic colonial building housing GALERI DIRAJA SULTAN ABDUL AZIZ has a long history. The British occupied it during the colonial period as the land and administration office, the Japanese during World War II as its war headquarters and later by several local authorities until its recent restoration into GALERI DIRAJA SULTAN ABDUL AZIZ. Visitors will get an insight of the late Sultan Salahuddin Abdul Aziz Shah's childhood and early years as a crown prince, his career in military and public offices until his appointment as the Eighth Sultan of Selangor in 1960 and as the Eleventh Yang di-Pertuan Agong in 2001. The Royal Collections consists of a range of magnificent personal collections of artifacts and gifts covering the period of his reign. Included in the exhibition are replicas of Selangor's crown jewels. Visit GALERI DIRAJA SULTAN ABDUL AZIZ and discover for yourself Selangor’s unique rich royal heritage and legacy.